A beautiful card. I love the colors and great design. This is gorgeous, Nancy! Love the colors! Beautiful card and a great color combo. I like your pretty butterflies and the embossed background. So beautiful – you are so awesome at layering – I’m in awe of that talent!!! Great layout and beautiful use of the colors! 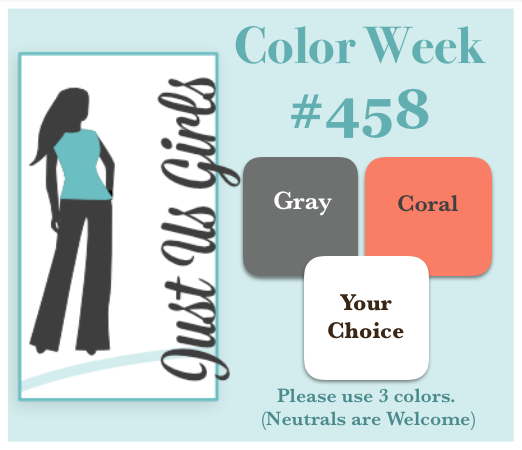 Look at all that coral and gray DP. This came together beautifully, Nancy. I love this! Those patterned butterflies look fantastic and I love all of those dots and the textures. 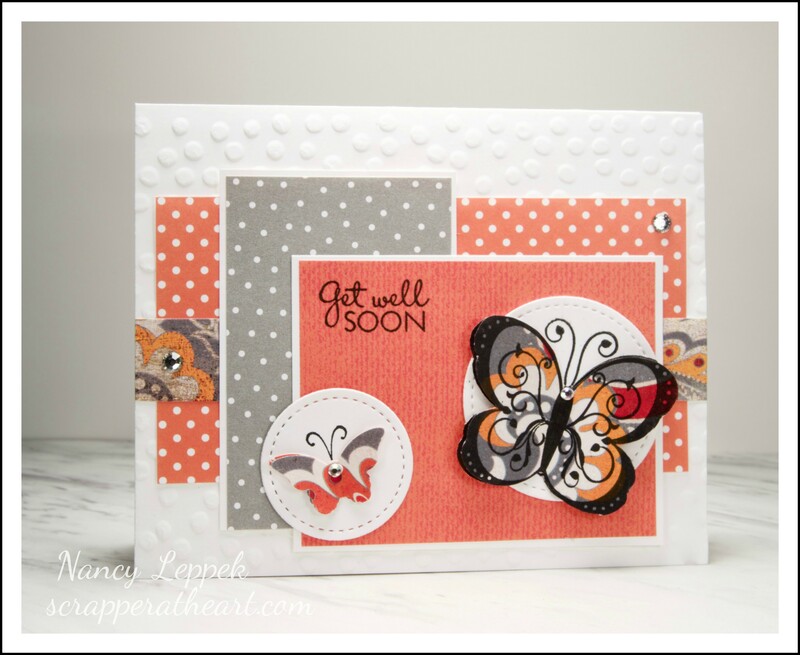 Such a cheerful get well card. Those dotty DPs and embossed background work so well together with the hint of patterned DP. :). WOW! what an awesome layout you have here Nancy. Fabulous layers and gorgeous colours. I looooooooove it! Way to keep the Verve alive 🙂 Lovely card and use of colours. Don’t know how I missed this gorgeous card! Love the colors and all of the wonderful layers. Your butterfly is beautiful! Once again, your paper/pattern combining has me captivated and those butterflies? Oh my stars…swooning! Such a gorgeous way to combine the challenge colours! Love this! I love this color combo,and the designpPers that you used are amazing. I am going to pin this for future reference, great design and so stinking cute.